Triangular configuration for stability. 1" circumference weight plate holders. 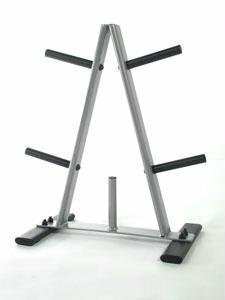 Keeps weights in one location to free up floor space. Powder coated for a scratch resistant, rust resistant finish. Constructed of heavy gauge steel. Dimensions: 23" x 12" x 25".